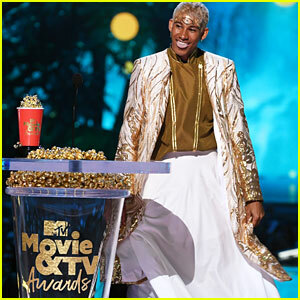 Zendaya is all smiles while handing the award for Best Performance in a Movie to Black Panther‘s Chadwick Boseman at the 2018 MTV Movie & TV Awards! 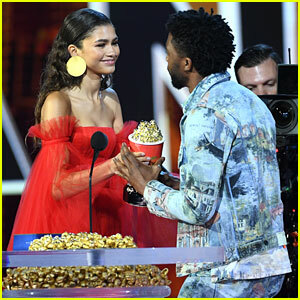 The 21-year-old The Greatest Showman actress and the 40-year-old actor took the stage at the event, which was taped on Saturday (June 16) at Barker Hangar in Santa Monica, Calif.
Zendaya stunned in a multi-tier, off-the-shoulder red tulle gown with gold heels and matching circular earrings. 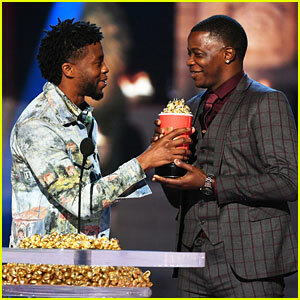 Chadwick also won the award for Best Hero, which he chose to give to real-life hero James Shaw Jr.
Be sure to check out Zendaya‘s red carpet look, which resembled a Hershey’s Kiss, here! 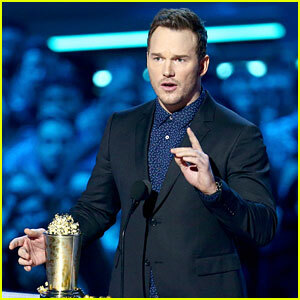 FYI: Zendaya is wearing Carolina Herrera. 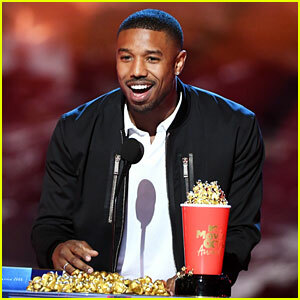 Chadwick is wearing Off-White. 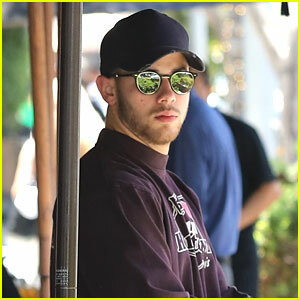 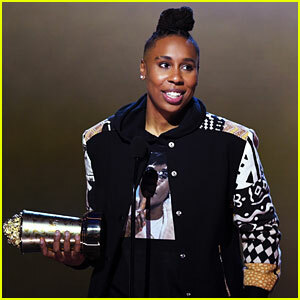 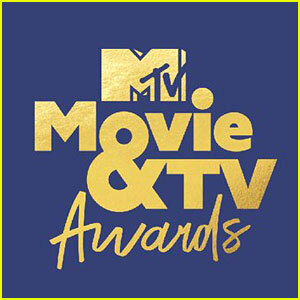 MTV Movie & TV Awards 2018 Ratings Up From Last Year! 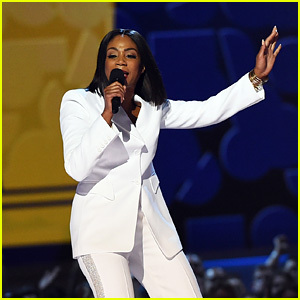 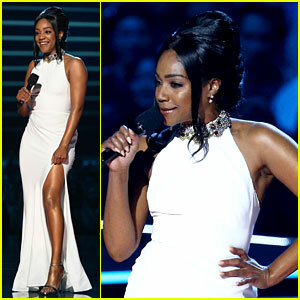 Tiffany Haddish Wears Her Alexander McQueen Again for MTV Movie & TV Awards 2018! 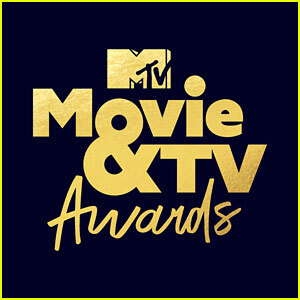 MTV Movie & TV Awards 2018 Performers & Presenters List Revealed!